Joan McGoldrick passed away on February 6, 2019 in Scottsdale, Arizona at the age of 89. She was born on August 20, 1929 in Chicago, Illinois to Thomas and Mary (Rache) Moran. Joan grew up in a very happy home with three cherished siblings, each of whom preceded her in death: the Rev. Thomas “Don” Moran, Marie Tarpey (Gene), and Philip “Roger” Moran (survived by Mary, who was like a sister to her). Joan graduated from Aquinas High School and attended Mundelein College, both in Chicago. In 1951, Joan married Patrick “Joe” McGoldrick. Joe and Joan lived a wonderful life together, and were blessed with 59 years of marriage before Joe passed in 2010. In 1964, they relocated to Paradise Valley, Arizona and raised their eight children: Mary Kelly (Tony Hecht), Anne McGoldrick (Brent Bieser), Jane Wisniewski (Robert), Paul McGoldrick (Regina), Grace Jones (Terry), Mark McGoldrick (Mia Feldbaum), Sara Balder (Michael), and Amy McGoldrick (Jeffrey Root). Joe and Joan were blessed further with 12 grandchildren whom they loved fiercely: Molly Corral (Alonzo), Betsy Lamm (Rob Kroehler), Brian, Devin, and Brendan Kelly, Kate Smith (Bryan), Haley Dietzman (Roald), Maggie McGoldrick, Jack and Quinn Balder, and August and Vela McGoldrick. Even more joy came with 7 great grandchildren: Lola and Hutchinson Kroehler, Javier and Mateo Corral, Heath and Hayden Smith, and Nash Dietzman. In addition, Joan loved being “Aunt Joan” to her many Tarpey and Moran nieces and nephews, all integral parts of her extended and supportive family. Joan’s rich life also included dear friends, including the Cannatas, Gordons, and Feolas. She loved being a stay-at-home mother for many years, after which she began a 30-year career with the Scottsdale School District. 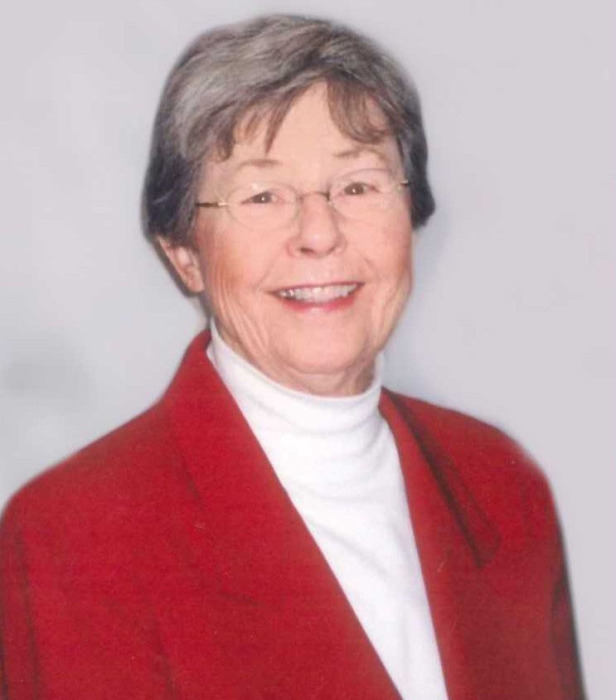 Joan worked at the District Office, Saguaro High School, and Cherokee and Kiva Elementary Schools. Most mornings found her staffing the office, the face of the school for parents and children. In retirement, Joan volunteered with the Society of St. Vincent de Paul through St. Maria Goretti Parish. Joan was a great time, always ready to celebrate an anniversary or birthday, always ready to dance at a wedding. She loved reading; loved being out of doors. For years, she enjoyed swimming and playing tennis. Joan took long walks with her headphones on: show tunes, marching songs, golden oldies. In 2007, Joan suffered a major stroke. She spent many months in rehab therapy with the goal of “dancing at her granddaughter’s wedding.” Joan’s ineffable spirit maintained, even as the years and the effects of the stroke eroded her abilities. She continued to be a wise sage in matters of love, life, and parenting, and continued to be a guide to our family. Joan was an example to us through her indomitable attitude, deep faith, “Moran” spirit, ready humor, and grace – especially her grace. She was a woman of great integrity and true conviction who was a champion of those who were less fortunate. She had a gentle soul and made this world a better place. She will be missed immensely by her family and all who were blessed to have called her a friend. Joan was a class act. Visitation will be held at Messinger Mortuary, 7601 E. Indian School Road, Scottsdale, on Friday, February 8, 2019 from 5-7p.m. Funeral Mass will be held Saturday, February 9, 2019 at 1p.m. at “The Casa”, Our Lady of the Angels, at the Franciscan Renewal Center, 5802 E. Lincoln Drive, Scottsdale. Graveside services to follow at Paradise Memorial Gardens, 9300 E. Shea Blvd., Scottsdale. In lieu of flowers, memorial contributions may be made to the Society of St. Vincent de Paul, P.O. Box 13600, Phoenix, Arizona 85002.